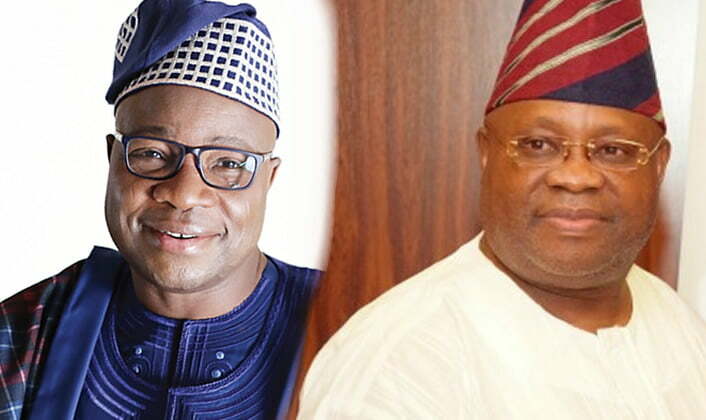 A former governorship aspirant of the Peoples Democratic Party, PDP, in Osun State, Dr Akin Ogunbiyi, has accused the governorship candidate of the party, Senator Ademola Adeleke, of breaching an agreement reached ahead of the election. He said Adeleke was backing his campaign director, Chief Lere Oyewumi, for the Osun West ticket. Ogunbiyi, through his media aide, Ismail Afolabi, told Punch that “To resolve the crisis arising from the PDP primary, the leadership of the party resolved that Ogunbiyi’s camp should produce a candidate who would deputise Adeleke; they conceded Osun West Senatorial ticket of the party to Ogunbiyi himself and also rationalised other issues for peace to reign. “Backed by Adeleke, Lere Oyewumi went all out for the Osun West Senatorial ticket, breached the signed agreement between him and Ogunbiyi while the leadership of the party looked away.